The NSW Education Standards Authority (‘NESA’) was formally established on 1 January 2017 to improve quality teaching and student learning across all schools and school sectors. It is responsible for the curriculum, assessment, teacher accreditation and regulatory standards in NSW schools, and accreditation of early childhood teachers. 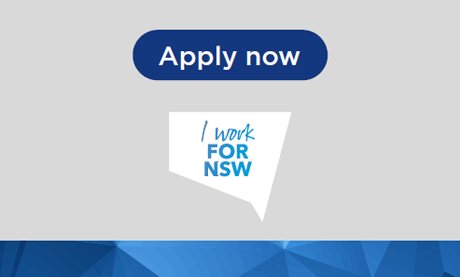 We are looking for a Senior Inspector, Senior Secondary Curriculum to provide high level strategic advice and leadership in shaping NSW curriculum direction and delivering high quality curriculum and assessment that is responsive to the contemporary learning needs of school students, especially senior students. The Senior Inspector will be a key member of the senior curriculum leadership group, providing professional leadership to a team of 4-6 curriculum inspectors and fostering collaborative and productive stakeholder relationships externally and across NESA divisions. The role will provide professional and policy leadership and operational oversight of NESA programs in accordance with relevant legislation and government, NESA and Executive objectives to ensure the quality of curriculum and assessment across the K–12 learning continuum. To be successful in this role you will need to demonstrate your immediate proficiency in the focus capabilities as highlighted in the Role Description. All the capabilities listed in the role description will be assessed at different stages of the recruitment process. This assessment will determine your suitability for appointment and may assist in identifying any learning and development needs for you to reach your full potential in this role. NESA is committed to a workplace culture that is respectful and inclusive, valuing the diverse perspectives that our people bring from their homes and communities. We welcome applications from Aboriginal and Torres Strait Islander peoples, people from diverse cultures and people with disability. NESA will provide reasonable adjustments in our recruitment processes and in the workplace. If you will require this, please call or email the contact person listed below, and also let us know of your preferred means of communication. The application and selection process will include a range of assessment techniques to assist in determining your suitability for the role. For the initial application process you should submit a cover letter (1 page), resume (up to 5 pages), address any essential requirements noted in the role description, and include a short statement in response to two pre-screening questions. Answer the two pre-screening questions below - we are looking for you to demonstrate your competency in this focus capability. Answer with concrete examples and in no more than 300 words per question. Briefly describe the context of the situation(s), the actions that you took, the outcome of your efforts and what you learned from the experience (maximum of 500 words). Q1: Effective people management is critical to success in this role. Using specific examples describe how you have managed staff to recognise talent, encourage professional development and address individual performance issues. Q2: The Senior Inspector will be required to lead and manage the delivery of high quality curriculum, within budget and time constraints, whilst addressing competing stakeholder expectations. Outline a complex project you have recently delivered and give specific examples of the strategies and skills that were most essential to your successful delivery of the project. Consistent with the entitlements of public sector applicants, NESA is prepared to negotiate bilateral agreements with current employers of successful non-government school applicants to facilitate right of return and recognition of service while employed by NESA. Closing date: 25 November 2018 at 11.59pmTo view the role description click here.